In housing, and more specificaly in bathrooms, many decoration ideas are possible with these panels (floor, walls, under the sink cupboard...). 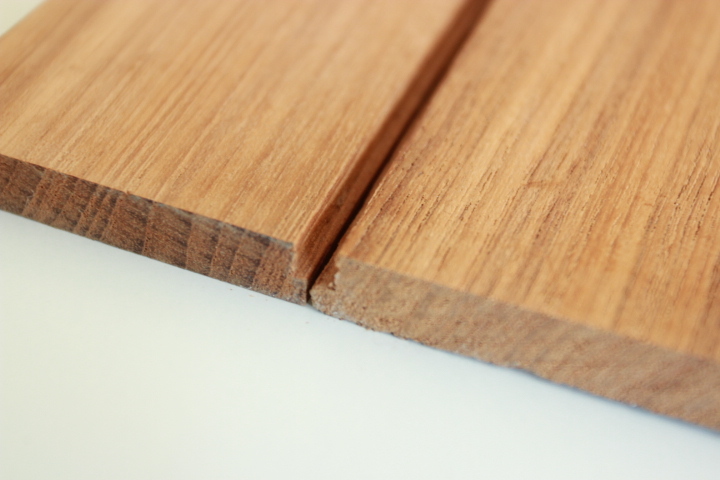 Real size of teak and joints: 36/4/36, 56/4/56 ou 85/5/85. 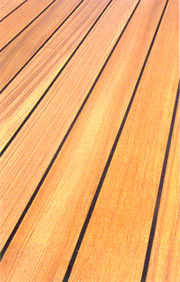 Panels lenghts: 3m, 2m, 1.5m, 1m. 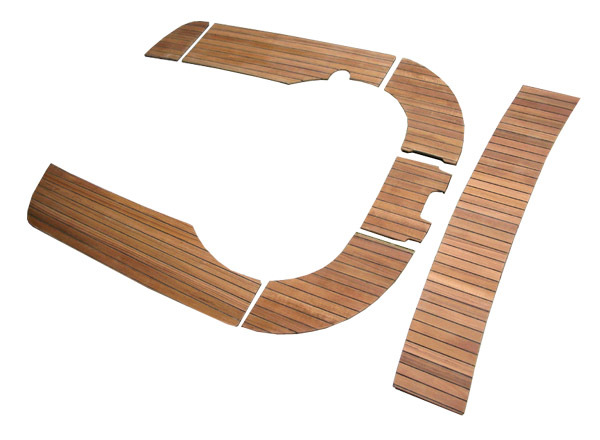 We have many cockpit patterns for different brands and boat models. 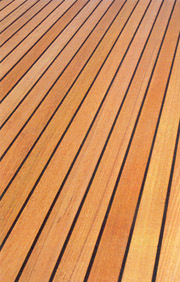 Therefore we can provide you with teak pannels for your boat, ready to install. 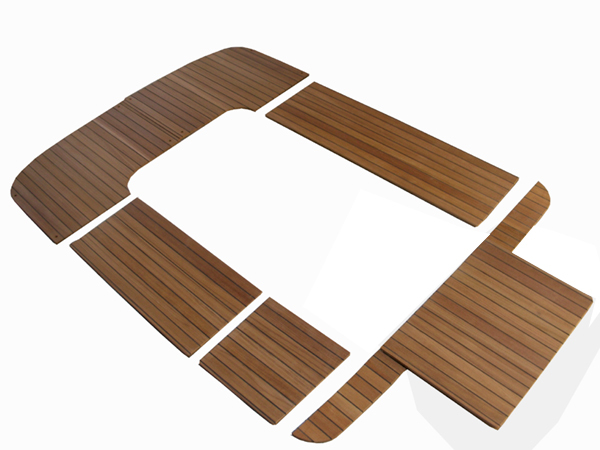 If your boat isn't in our database, you can send us your patterns in order for us to do the panels. Lenght: 3m, 2m, 1.5m, 1m. 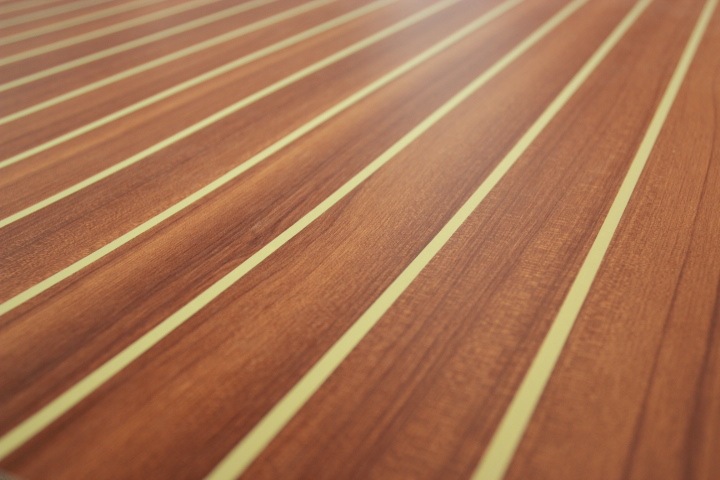 The STRATIFIL claddings are ready to use: no varnish, no maintenance. 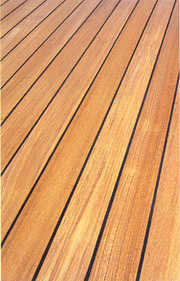 They are very resistant and non slippery. 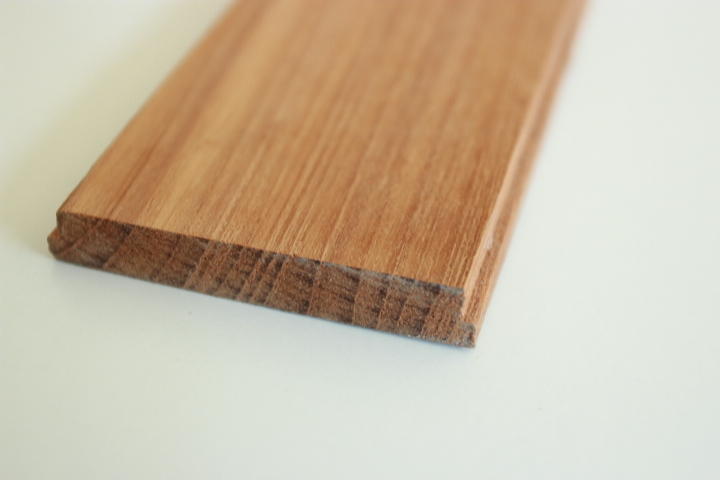 The STRATIFIL is a plywood with one side with teak imitation (light or dark colored joints), or mahogany imitation with light colored joints, or maple imitation with dark colored joints, and the other side with white laminate for gluing (marine glue). 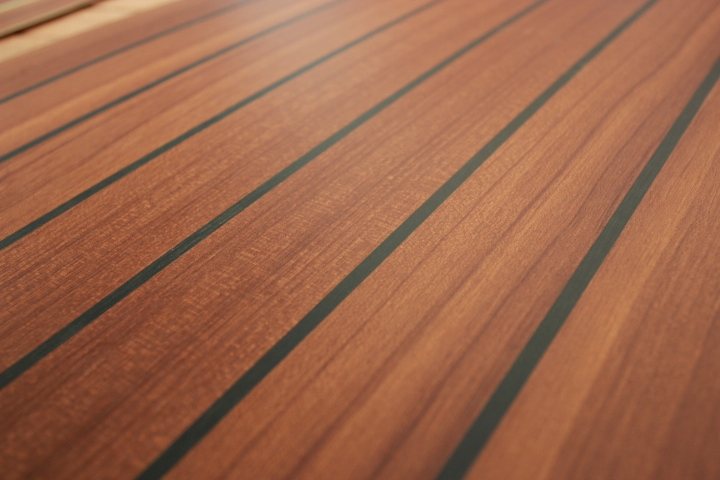 The POYOLIGHT STRATIFIL teak with light colored joints is available with a balsa core, which is 50% lighter than the plywood.